I mentioned in my last post that my traffic is all organic, and highly targeted... and that my traffic continues to climb at a steady rate. If you missed that post see 2012 Advertising Rates which shares my 2011 traffic stats. Would you like to get that same kind of free targeted traffic to your site? If you looked at my stats, then you can tell my site obviously wasn't affected by the Google Panda update. Click that link and read that article (again, if you already have) as it gives you a basic blueprint for post-panda site success. First, let's talk about what I didn't do last year to get well over half a million unique visitors (666,014) to this blog alone - not including any of my other properties. I did not do any major article marketing, outsourcing or link building. I also did zero PPC campaigns or paid advertising. It's important to note that as of March 2012, I have been blogging for 6 full years on this domain. Prior to that it was on blogger, so I've been blogging consistently for almost 8 years now. This affects traffic in two ways: 1) the search engines consider you an authority on your topic and/or your domain gets well established in the major search engines, and 2) you build up a readership, a mailing list and a loyal following over time. Success is not going to happen overnight, no matter what those big red headlines promised you. Be ready to invest in your online business long-term. Write great content. Address your market's needs & wants (via keywords & responses). ENGAGE with them. Make it easy for your readers to share your content (for you!). And be consistent until your readership is solid and your site/blog is well established in the search engines. These are the same marketing strategies I am using on my two newer blogs (my video blog and my low carb blog) to get free targeted traffic, including the strategies I listed earlier that I didn't actively do for ClickNewz last year. The truth is that it really is that simple. The more consistent I am with writing, the higher the traffic I get. Of course, having all the blogs I do, some target better than others, but overall I notice it works wonders across the board. The problem is people always looking for magic button to do this and waste a lot of moneys. I noticed that social media play a big role in bringing targeted and consistent traffic to my site. I stopped updating and engaging with my readers due to some reasons and I noticed that my traffic went down by 50%. Thanks for sharing your tips. I know it's really hard to blog consistently with the ideas and stuff but I'm amazed how you did it for almost 8yrs now. I'm focused on social media optimization for now and exploring a bit on generating quality content.Hope 2012 will be a fruitful year to me! You absolutely read my mind with this post. That is so cool. Blogging is definitely about engaging your readers and sticking with it. You, have always done this very well I have thought. I would love your critique or a comment on it if you're not too busy. After reading your post on your site's traffic records, I was impressed a lot! Also the tips which you have posted in this post seems very good and effective too to achieve this. To be active on social media channels is very important I think. 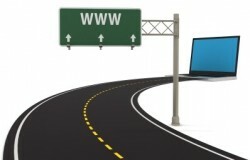 Social media plays a major role in getting the desired traffic for the site. Also the other tips which you have posted are easy to follow but equally important ones. Thanks for your useful tips! The best line: "Is It Really That Simple? Yes." I know that most people confuse 'simple' with either 'easy' or 'quick' or worse, both! The steps you have laid out are exactly that i.e. simple. How many of us will actually go ahead and 'consistently' follow them? In my limited experience with earning money online, I see people who consider this 'online thing' a jackpot of sorts. What they fail to realize is that it is a legitimate way to earn money, and like most things ligit, it will take time and smart work. I’m new at this and have read a lot of articles and would now like to put that knowledge to good use. I do have a question regarding backlinks. I am not sure how to actually create backlinks. For example: Many of the forums and blogs won't allow me to include my URL in my posts to their site. So, how does one actually get a backlink on a forum, blog, web site, etc? I’m trying to do affiliate marketing and don’t know if I need to contact each of the individual affiliates companies (e.g. Red Envelope, Best Buy, etc.) and request a link or is it something I do on my end. If I post on a forum/blog, are the backlinks created by the individual forums administrator or do I create it? I don't know where Google looks to see a backlink to my site and I don't know where to enter my URL. You suggested I read the SEO Fast Start by Dan Thies. I did so and found it very useful but still not sure how to create backlinks. Great advice Lynn! I have been following you since 2009 and the main reason is great content. Provide great content and the rest takes care of itself - this site is a prime example. Hello Lynn, it does look like the traffic generating formula, to be sure. My challenge is that when I generate the business, I then need to get in the car and close the deals! Thus, ensuring I take the time to do this becomes more critical. However, another real estate agent in Phoenix had over one million total visit to his site last year so, I can find a way to do this! My problem is the availability of time. I would ask the blog's author how much time he spends for blog daily. Thank you. I seen That Guest Blogging Always Effects more.To get organic result its Take lot of time but at the end we got a success. There are many bloggers on internet affected by Google panda but I surprise That You are not from them. We don't really get much targeted traffic through blogging, but it does have a positive effect on our SE rankings so I can't complain! Great Article on being consistent with your blogging and building your business slowly over time. I used to go for the RED HEADLINERS and think I could get quick traffic to my site. It takes time. I have had my new guitar site up for about a month and working hard at getting quality traffic. I am hoping, since I am passionate about the guitar that I will stick with it for years to come and see the results you have had. Thanks for the tips.